Home Reviews Car Review 2017 Hyundai Elantra Petrol Review: Evolved and Enthused! 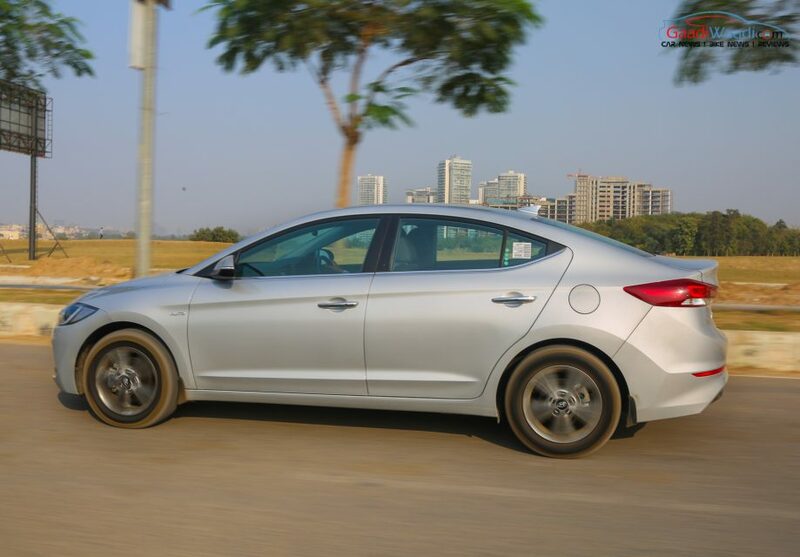 In 2004, the Hyundai Elantra initially broke covers for the Indian market in its third generation and was applauded instantly for its driving capabilities and roomier cabin. 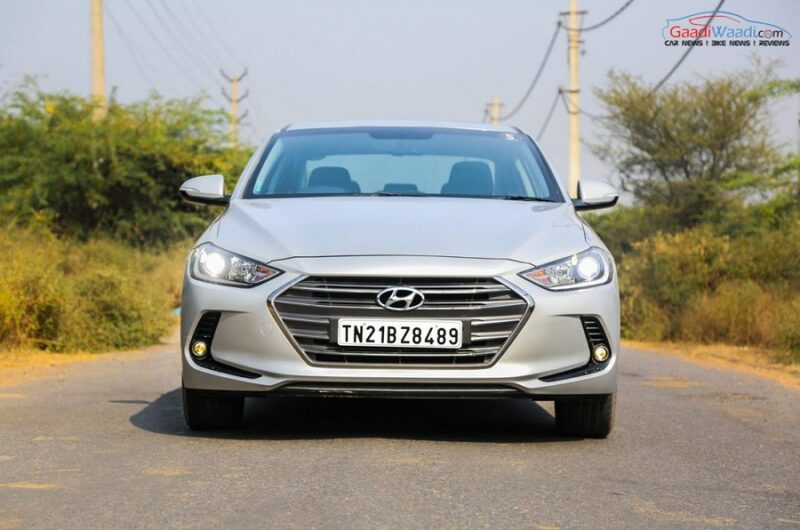 The next generation came with improvements but it wasn’t as good as the following fluidic-styled Elantra that set the hearts flutter. It had a dynamic exterior with sporty character and was nice to drive with good equipment level to justify the price range. 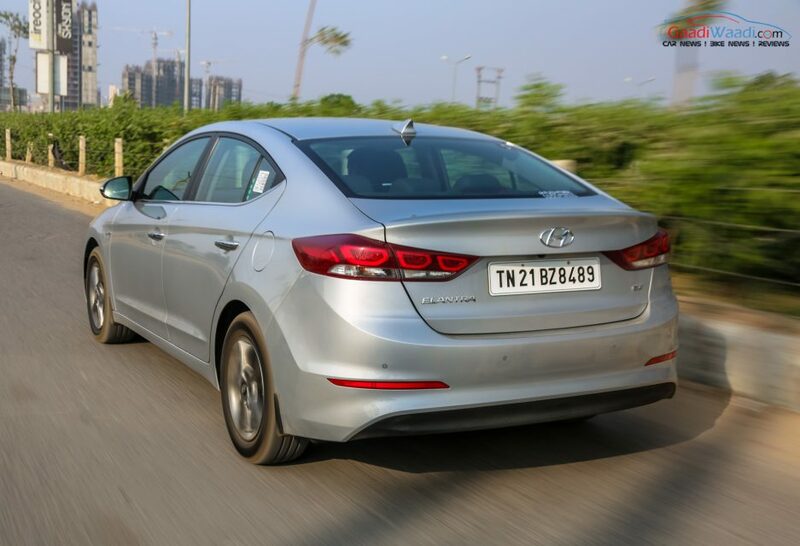 The previous generation Hyundai Elantra was the first model to boast Fluidic design language in India but the new executive sedan stands more in line with the European styling language. It follows the design cues of Fluidic Sculpture 2.0 called ‘Dynamic Precision’ with smooth contour lines benefitting aerodynamically with best-in-class drag coefficient of 0.29. The aggressive hexagonal grille with five vertical strips and slimmer stretched-back headlamps resemble the Genesis G90 sedan and they look very attractive. 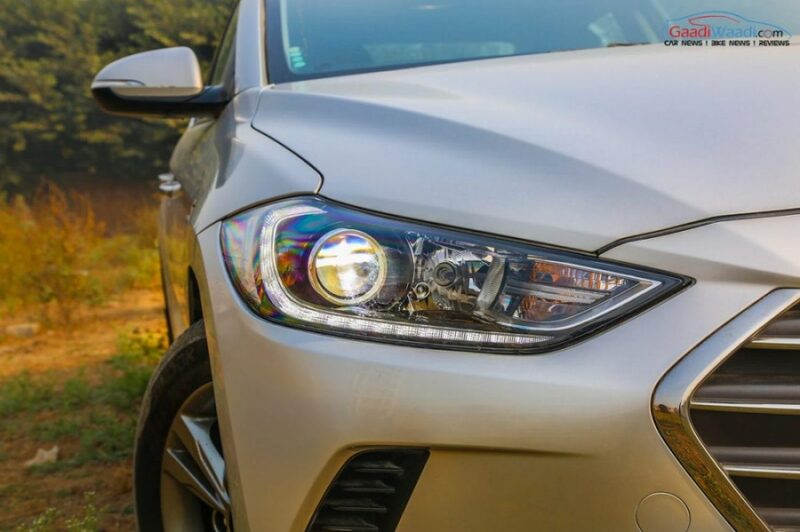 The new headlamp cluster composes static bending lights besides a tweaked bumper with vertically stacked LED DRLs. The simpler side profile and new set of alloy wheels look a lot sporty than the outgoing model. However, the overall shape has been kept intact. 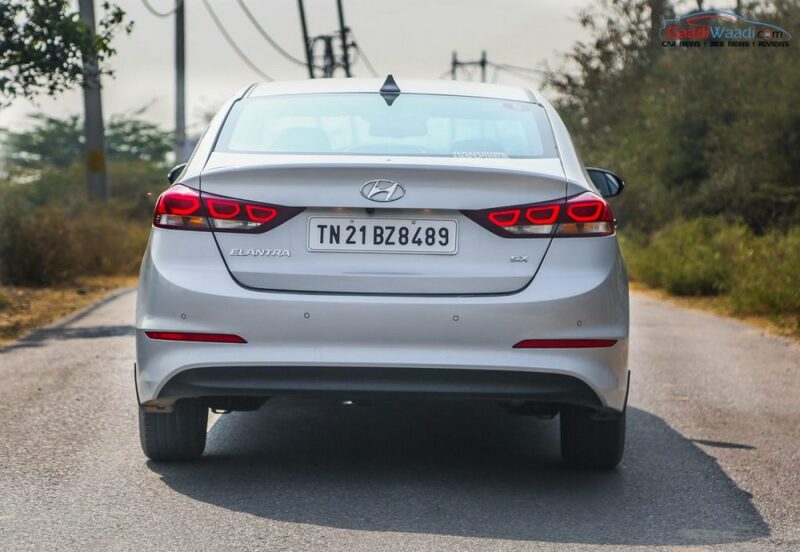 The previous Elantra had continuous flowing lines and longer rear tail lamps but the new model does bring a matured look with a sharper front fascia and Audi-ish grille and V shaped bonnet. 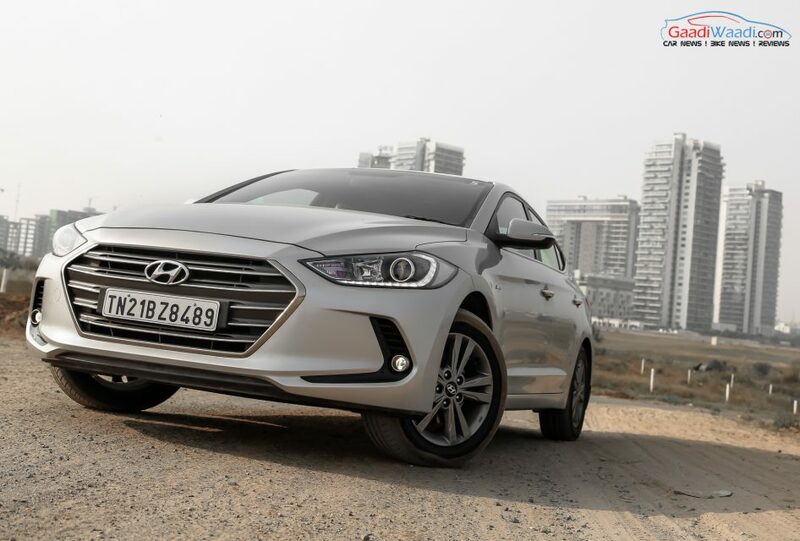 The new Hyundai Elantra measures 4,610 mm in length, 1,800 mm in width, 1,450 mm in height and features a wheelbase of 2,700 mm. 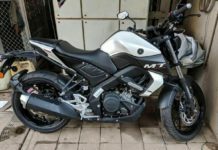 Compared to the outgoing model, it is an appreciable 60 mm longer, 25 mm wider and 20 mm shorter with identical wheelbase. The improved dimensions reflect on the interior space and comfort of the Korean sedan. The ground clearance of 165 mm was good enough as we drove the car comfortably in every possible road conditions for a week. The rear end gets newly designed LED tail lamps that gets extended to give a sporty profile. The uppish boot features a small integrated spoiler that is neatly carved out. The rear bumper does not having dashing styling but it is just enough to showcase the rear as a neatly laid out package and when you look from the sides it does help in enhancing the sporty nature due to the sloping roofline. Hyundai has come leaps and bounds in terms of interior recently as the 2017 Elantra is well on space and comfort. The South Korean brand is known for providing top quality cabin and here it is no different. 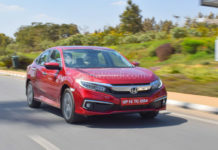 The electric front seats are supportive and wider compared to the outgoing model and they are equipped with memory function while the bolstering is also nice. Even for tall persons, the rear space and legroom are more than sufficient and there’s a nicely reclined seatback. 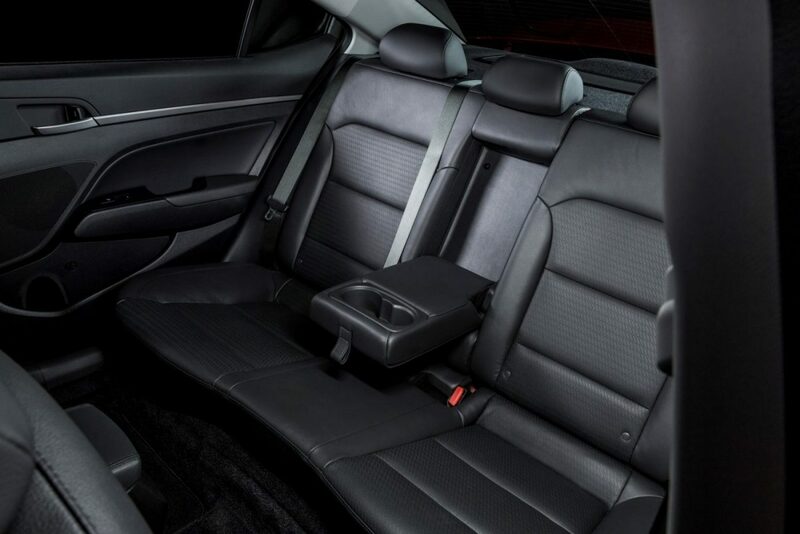 The leather seats have relaxed cushioning too while we would have lived more under thigh support. But the plastics on door panels could have been better. 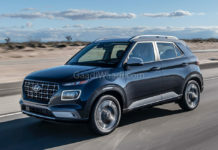 The lowly-seated passengers, in most cases, will be ensured of relaxed ride while the less-than-preferable rear headroom comes at the expense of the sporty sloping roofline. 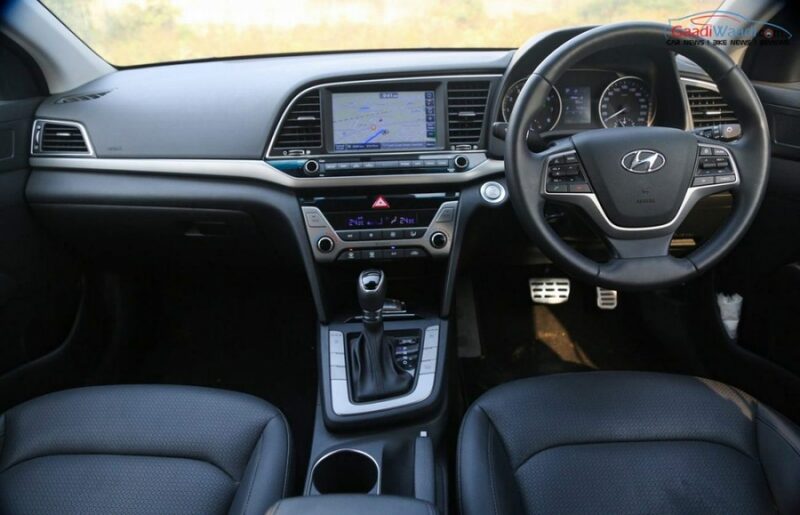 The interiors are a complete contrast to the preceding model and features a new design inspired from the Sonata and the newly launched Tucson SUV with new controls, dials and a fresh centre console. 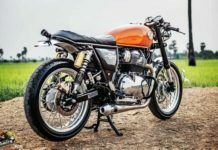 They are topped off by a sporty instrument cluster that has good visibility, standard black premium interiors throughout the range while the top-spec versions get leather upholstery and electrically adjustable ventilated driver’s seat. The South Korean automaker was diligent enough in offering the standard features. For different physique and height of the drivers, the seat height adjustment has been made available in all trims. For rear occupants, Hyundai offers rear AC vents as standard element. Tilt steering and driver seat height adjustment features do help the driver feel at home. The five-inch touchscreen system supports MP3 and USB connectivity besides Bluetooth accessibility. You can play songs, attend calls and do other functions right from your phone on the infotainment system via Bluetooth. The three-spoke steering wheel has buttons to control audio and phone. 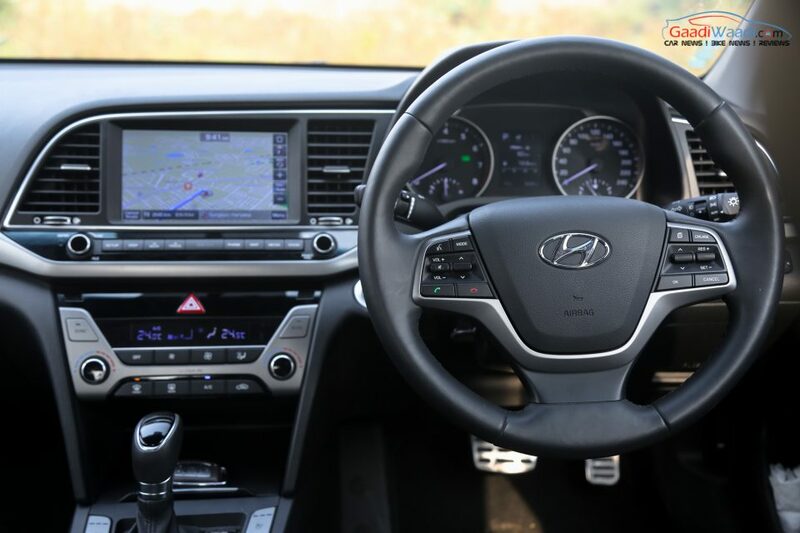 With the push of a button, the changes will be displayed on the touchscreen, five or eight inch according to the trim, and makes the driver fully-focussed on maneuvering rather than having to using his hands to change programs on the centre console. 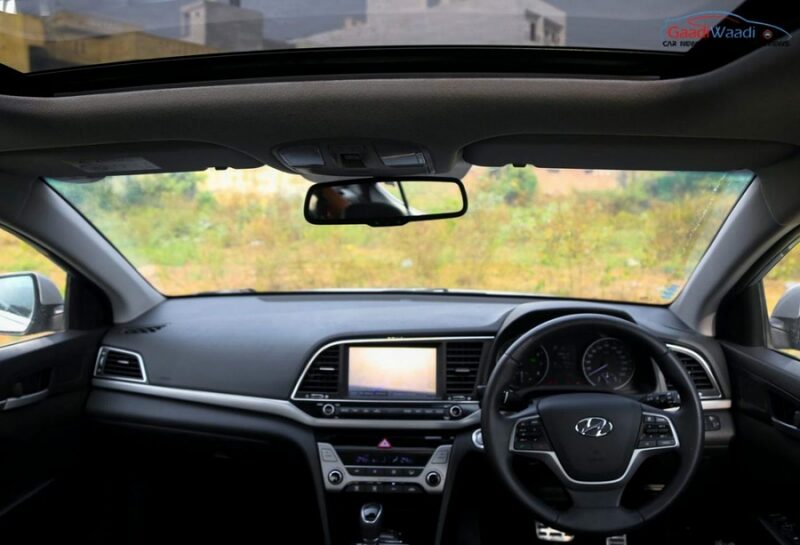 Hyundai has given sunglass holder and electrical adjustment for Outside Rear View Mirrors as standard across all the nine grades as well much to the delight of customers while cooled glovebox improves convenience. 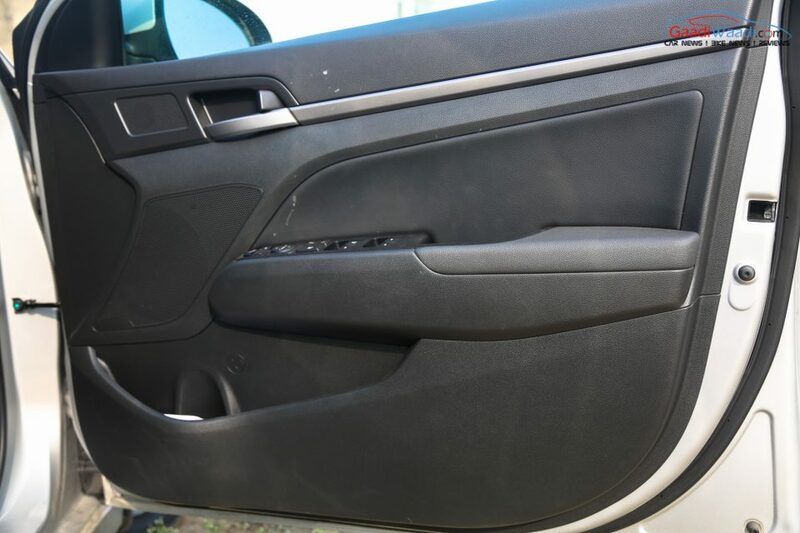 The front and rear power windows can be flicked up or down with the touch of a button. The 2017 Hyundai Elantra comes with cubby holes and necessary storage bins which are appreciable. In addition to them, there is centre armrest at front and rear. The occupants can rest their hand during long drives and while cruising amidst the cup holder keeping in position of the beverage items while tinted glass protects the passengers from getting baked in the sunlight. The bootspace capacity of 408 litres is highly usable and should be sufficient to carry your luggages on long trips. 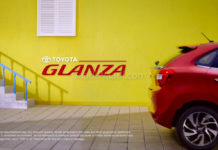 The trunk lid is not a hindrance while loading as well. 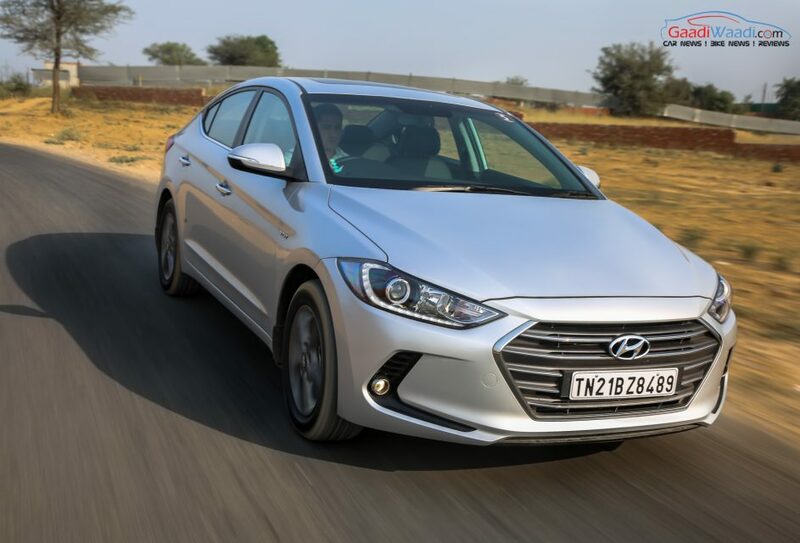 Hyundai has taken the safety quotient seriously and just like any of its segment rivals made the dual airbags standard across all variants. 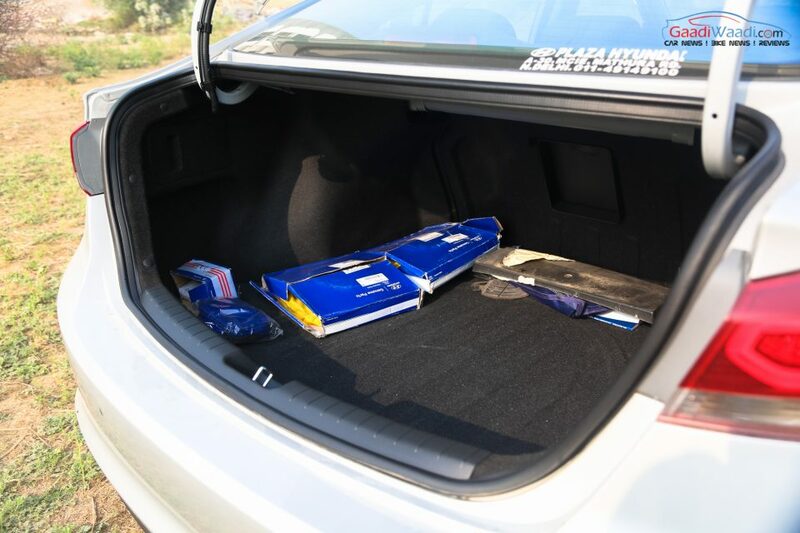 While the driver and co-passenger will be protected by airbags in all grades of the Elantra, the top-spec models emphasise the commitment to safety and has been offered with six airbags. 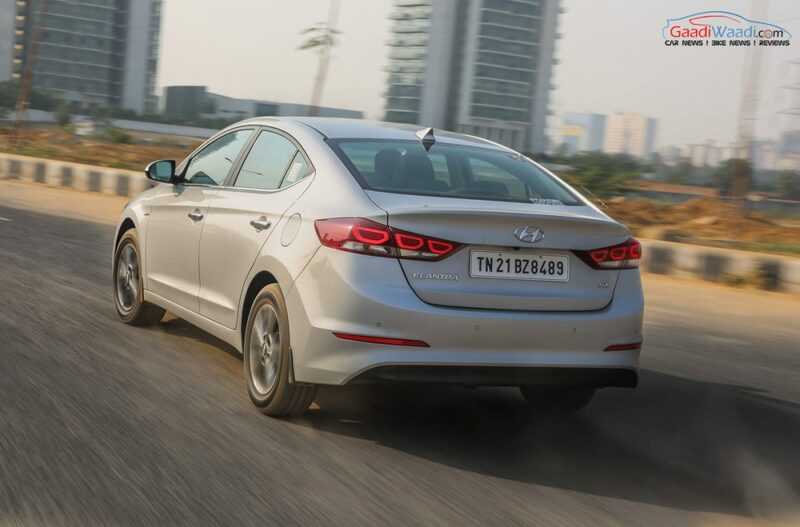 Another primary standard feature Hyundai Elantra possesses is ABS (Anti-lock Braking System) with EBD (Electronic Brake-force Distribution). The photoelectric sensor embedded in the instrument panel detects the lighting conditions and turns on the headlamps automatically. This substantially avoids collision when a driver forgets to switch them on or when conditions get worse during driving. The disc brakes up front and at the rear allow for additional stopping power as they combine with ABS to provide confident braking possibilities. The projector headlamps offer better visibility and long range driving confidence to the driver. 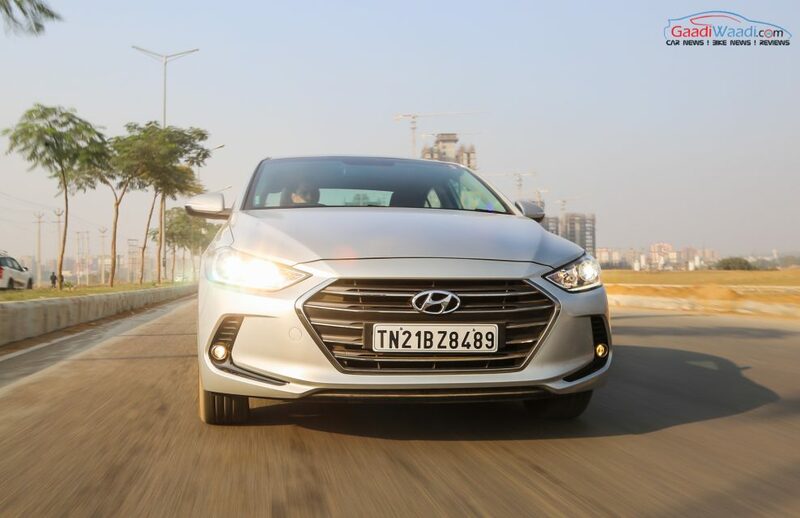 The new generation Hyundai Elantra comes equipped with this technology in the lower-level variants while the top-of-the-range models get the upmarket HID (High-intensity discharge) lamps. Hyundai was well-aware of the influence a set of wheels has on the visuals of a car. Both the front and rear Silica tyres are of 205 / 60 R16 in sizes as the 16-inch alloy wheels are finished in Gunmetal. 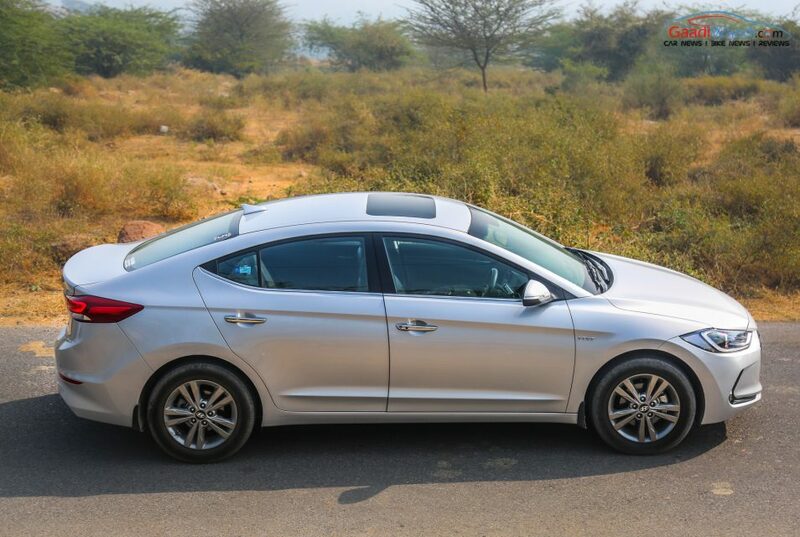 The wheels enhance the premium appeal of the new Elantra which in itself already a stylish car on its own rights. 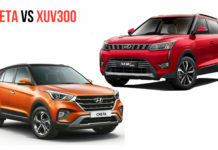 To substantiate the trustworthy nature of the customers, The new Hyundai Premium Assurance Program offers class-best 3 year unlimited kilometre warranty with services including free maintenance for 3 yrs/30,000 km, 3 year roadside assistance, 3 updates on Map Care ans as many times customers’ ‘home visit’. The 2.0-litre MPI four-cylinder motor is good enough to produce a maximum power output of 152 PS at 6,200 rpm and a peak torque of 192 Nm delivered at 4,000 rpm. 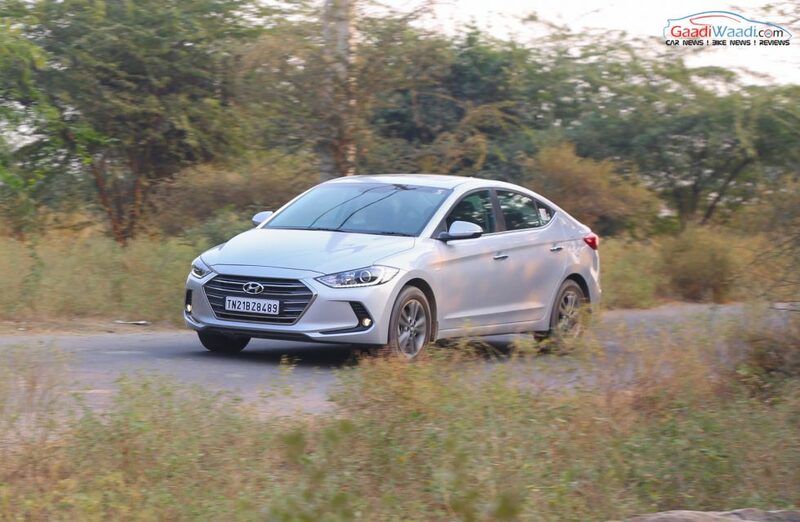 Off the line, the new-gen Elantra is a smooth and effortless affair while easily it picks up pace and shifts gears seamlessly. The engine has a really good low end and the cabin noise is now more silent. You could really feel how much it evolved from its predecessor with the way it drives when you put the foot down and accelerate. The very silent cabin allows for a relaxing in-car mood and on uneven surfaces there’s hardly any suspension sound. The stability in highways and city traffics assure you of a fabulous drive every time you get in. The brakes are phenomenal and stop the car to standstill in emergency situations in less distance. Through the corners at high speeds, there is very less bodyroll and they can be taken with a confident fast line and most importantly composure. Despite being accurate and direct, the steering does lack the feel though. On the less paved roads, during slow speed runs, we did not feel uncomfortable at all. The gearbox is nice and responsive too and the six-speed manual shifts are something we really liked. We found in our test that the mileage shown in the drive computer is much different to real-world conditions. However, it remained in double digit in city traffic scenarios. The lowered kerb weight due to the use of high-grade AHSS material in construction have led to improved fuel efficiency of 14.59 kmpl (MT) and 14.62 kmpl (AT) for petrol which is highly noticeable. 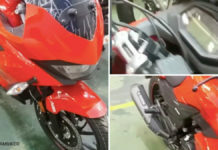 Due to the use of high grade steel, the torsional rigidity is increased by 29.5% and the bending strength by 25.3% which help in better handling and riding dynamics. 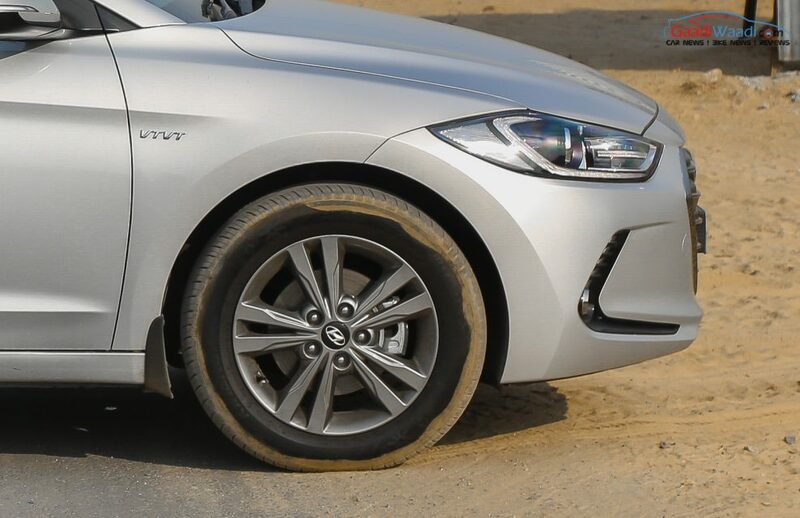 The suspension of the Elantra has improved largely as the front struts utilise more adaptive springs. 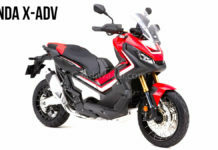 The Drive Mode system alters the amount of steering effort and throttle responses while the engine mapping gets tuned to give sportier performance in the ‘Sport’ mode. We do wish the dampers were adjustable too. 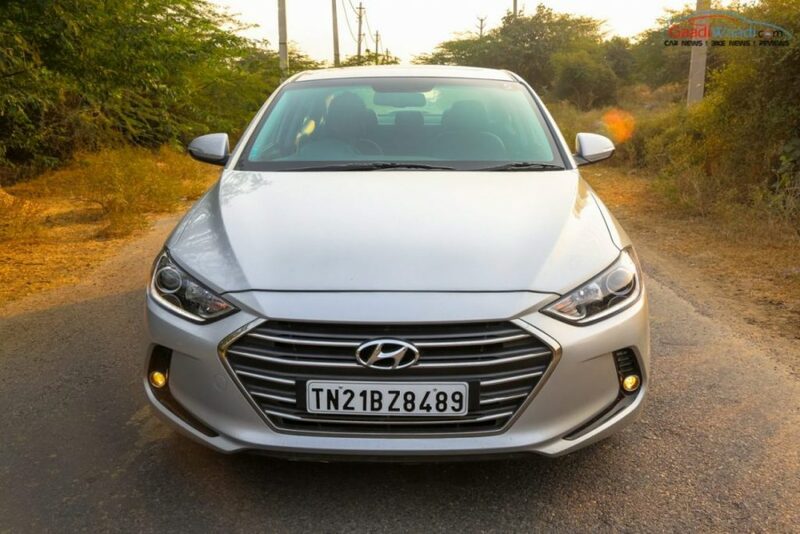 Underneath, the new Hyundai Elantra has seen big leaps in technology as the monocoque structure comprises of 53 percent high strength steel (HSS) as against 21 percent on the previous model. Therefore, the chassis has become 30 percent stiffer besides the involving structural adhesives used in aerospace sector for bonding. 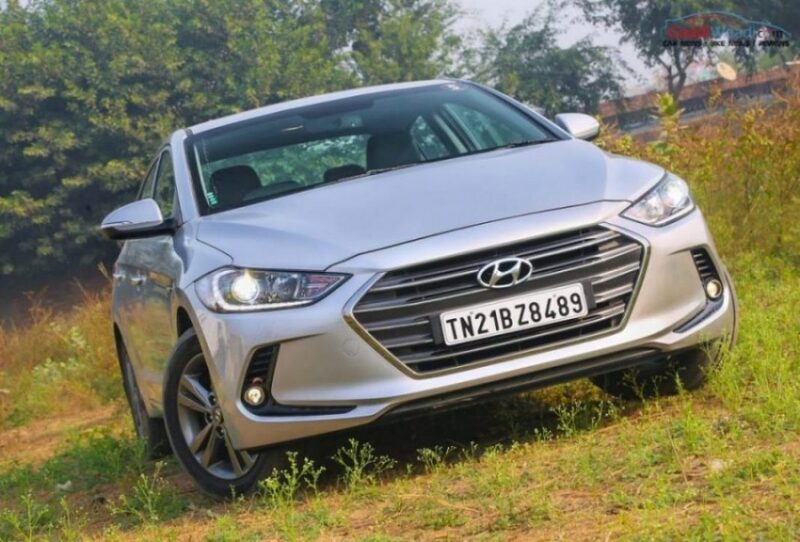 The new generation Elantra rides on a new lightweight vehicle platform for improved riding dynamics and we have no complaints over it. Braking and highway stability are really good and the car felt planted on the ground. The new Elantra is priced between Rs. 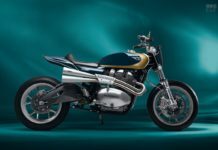 12.99 lakh and Rs. 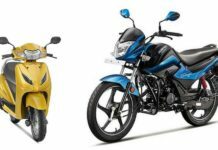 17.99 lakh (ex-showroom) for the petrol variants while the diesel prices start from Rs. 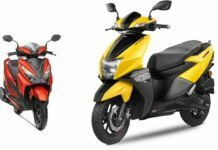 14.79 lakh and goes up to Rs. 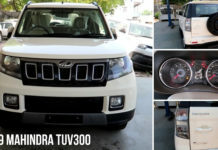 19.19 lakh for the range-topping AT model (all, ex-showroom prices). For that price range across nine trims, the equipment level and the interior feel are second to none. 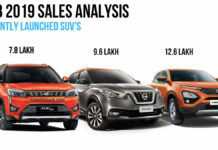 It’s a big step forward over the previous model as the design language is more matured and will attract even the non-sporty executive sedan segment lovers. 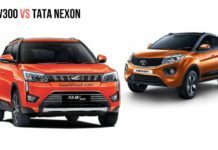 We would say it is the best petrol car with sporty character, long features list and excellent design considering the price tag. Besides the good build quality and comfort levels, the technologies and minor mechanical changes have made the Elantra’s ride a complete package you would pick hands down. 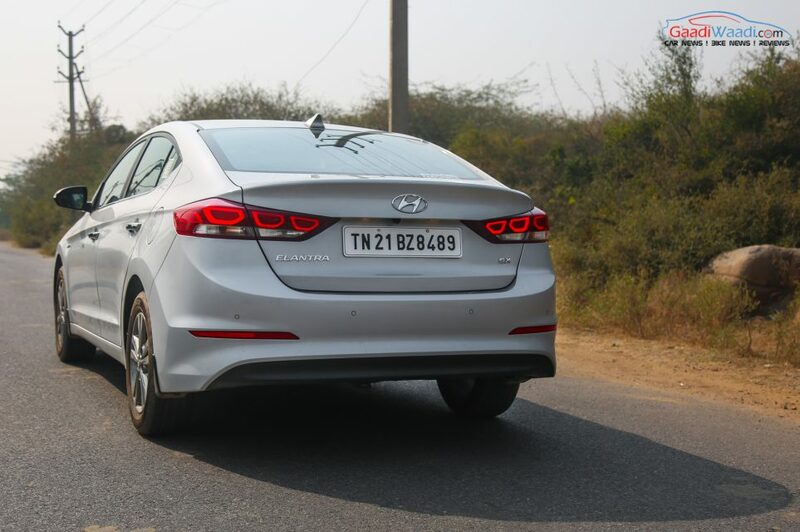 It is easily the best petrol Hyundai we have driven till date after spending a week with it. 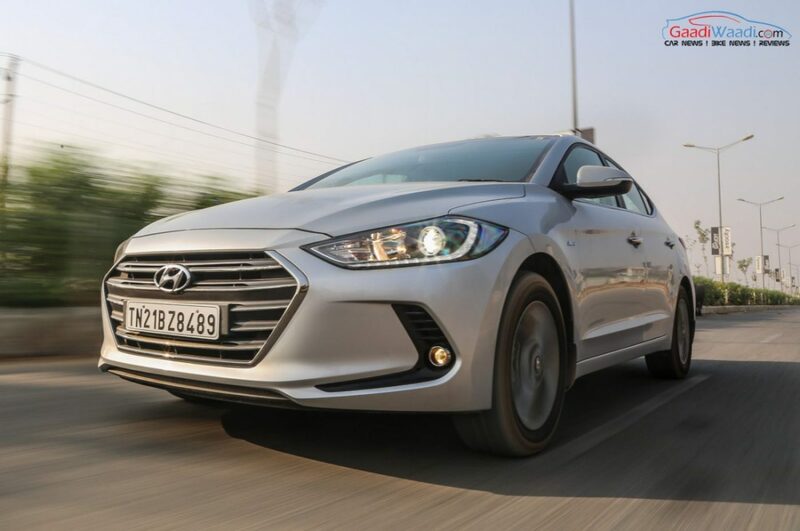 The Elantra has some sturdy rivals in its segment like the Jetta and Octavia but putting together all its positives the Korean sedan can be concluded as the best overall package. 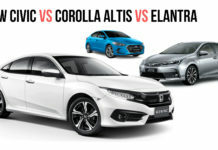 Despite the Elantra automatic’s acceleration is not as responsive as Octavia TSI, considering all aspects it will give the latter a tough competition.